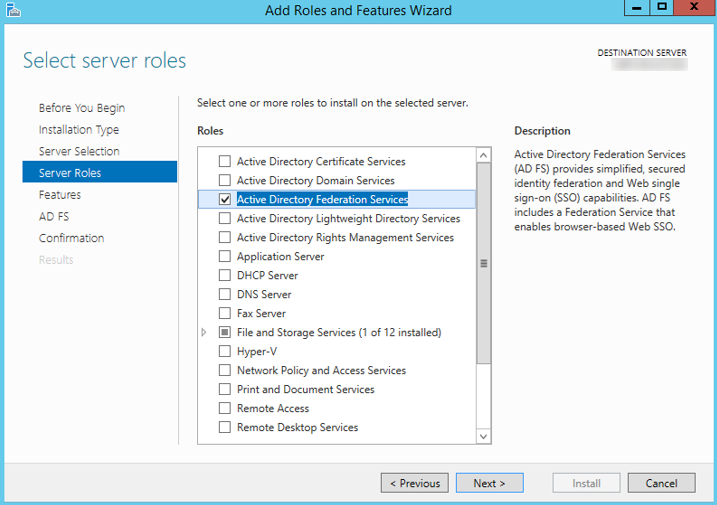 In this article, I will detail how to enable ADFS Server to authenticate users in Adxstudio. Please check out the Part 1 of this series which provides an overview of the solution. 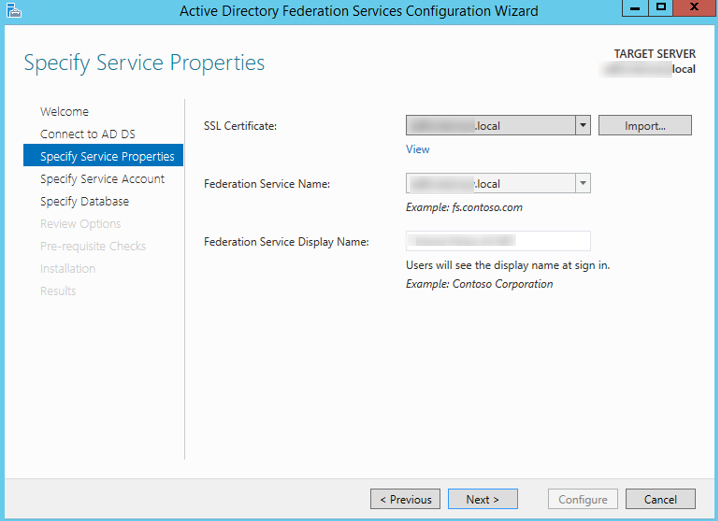 Before you start, make sure you have SSL certificates for ADFS, WAP, and Adxstudio. 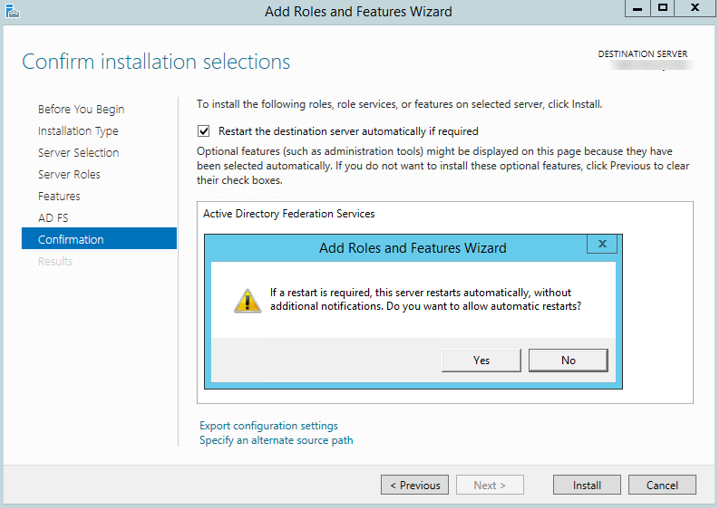 If you are setting up development environments, you can use self-signed certificates. 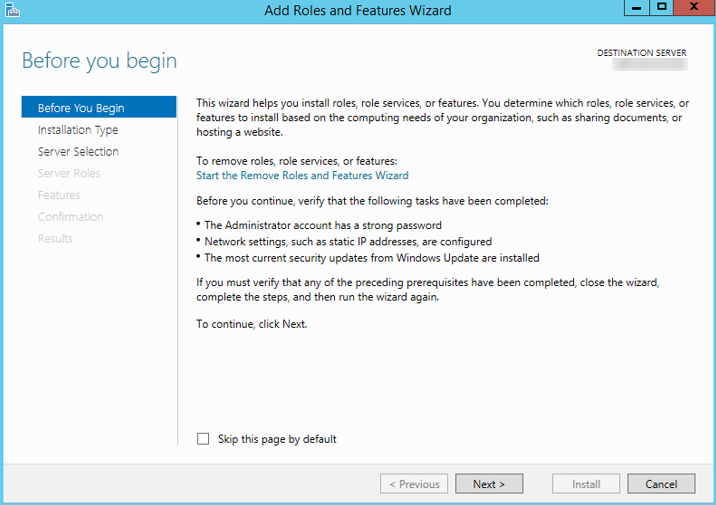 To learn ow to create a self-signed certificate, please see below article. 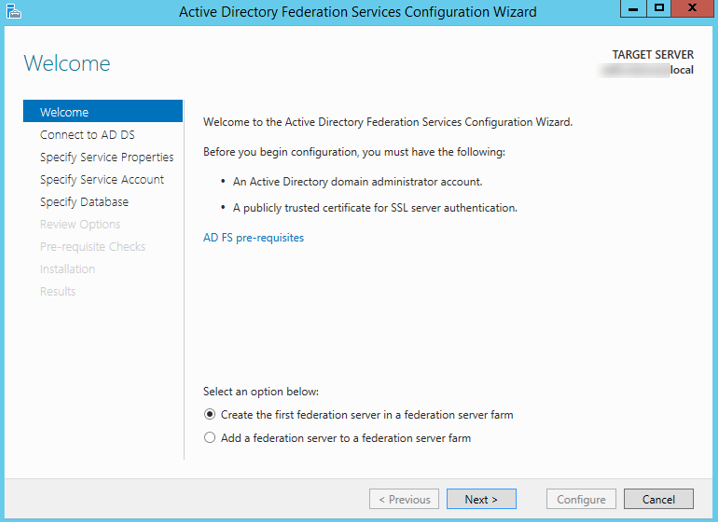 Select Active Directory Federation Services and click Next. 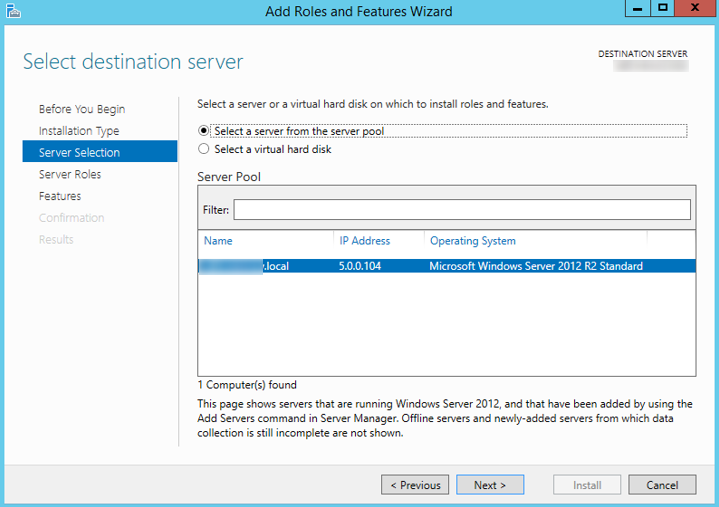 Select Restart the destination server automatically if required. 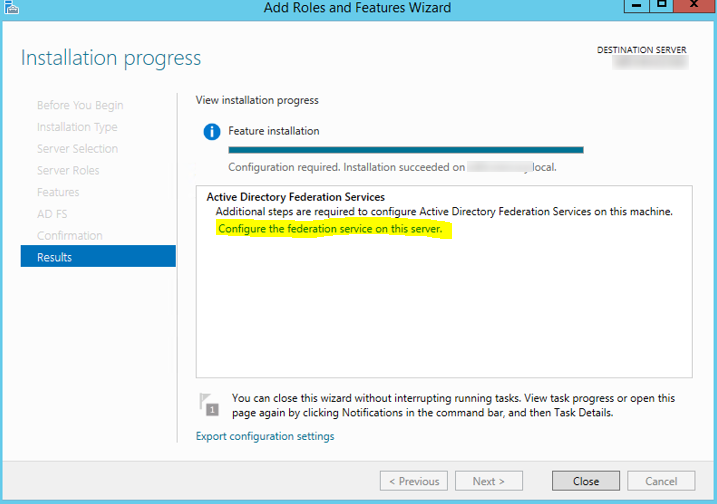 Click on the Configure the federation service on this server. 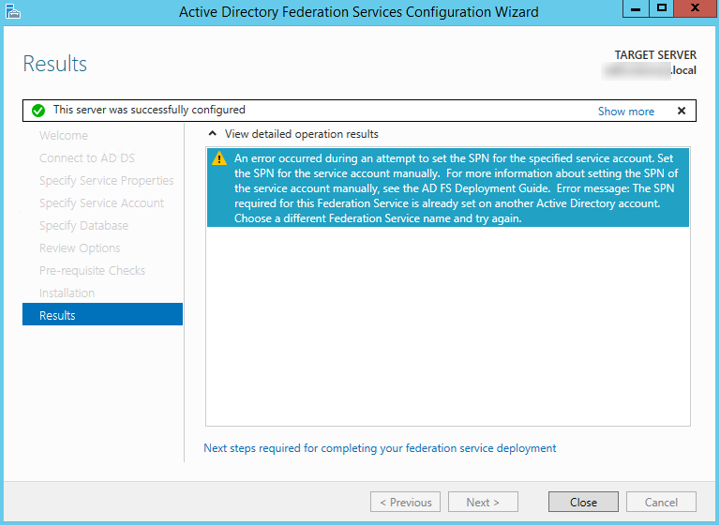 The Active Directory Federation Services Configuration Wizard opens. 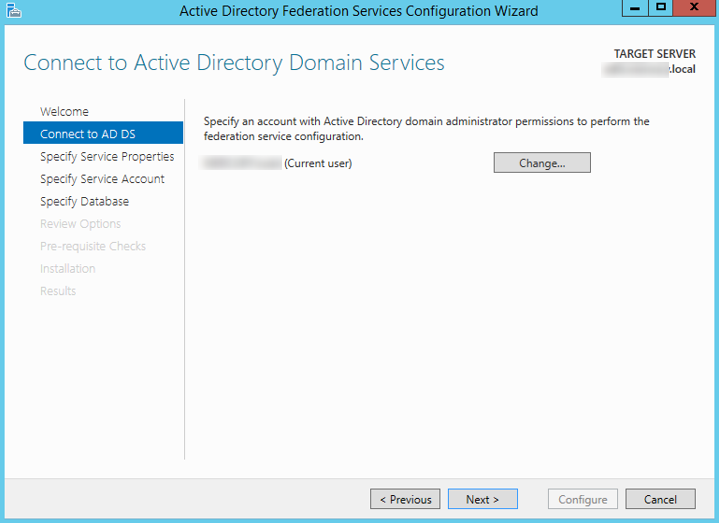 Specify an account with AD Domain admin permissions. Click Next. 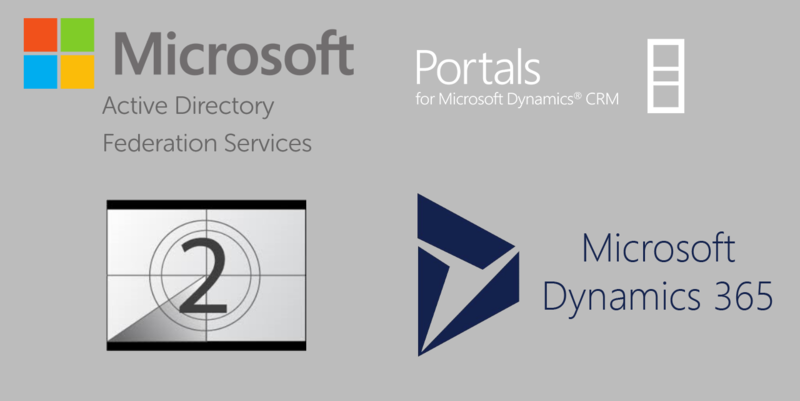 Select the certificate for example; adfs.dyn365apps.local. 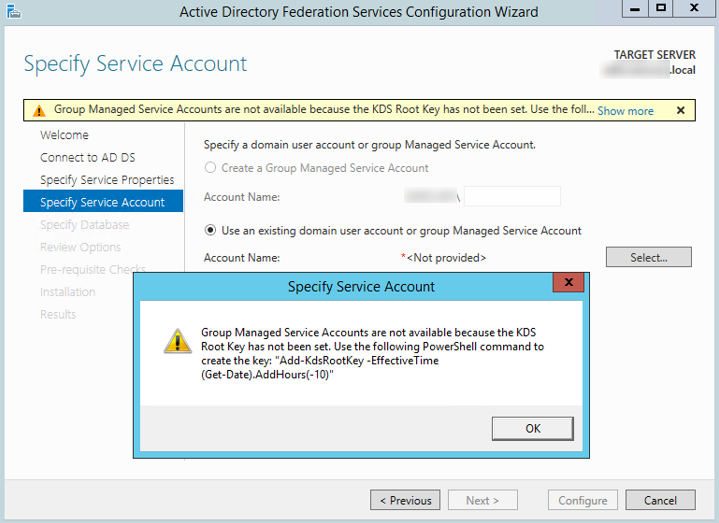 Ignore the warning Group managed Service Accounts are not available because KDS Root Key has not been set since a domain user account will be used as the service account. 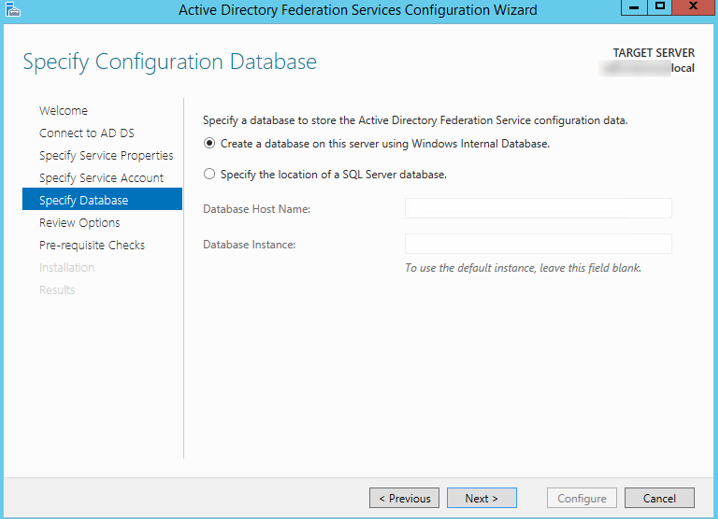 Click Select… button under Use an existing domain user account. 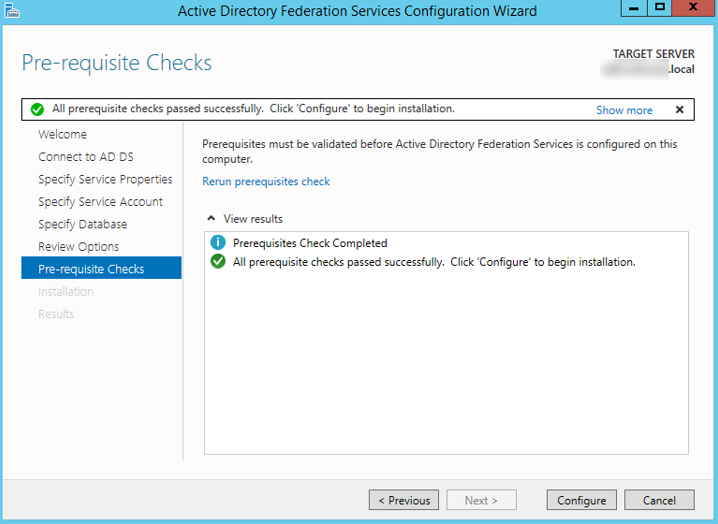 Type svc_adfs and click Check Names. Click OK. 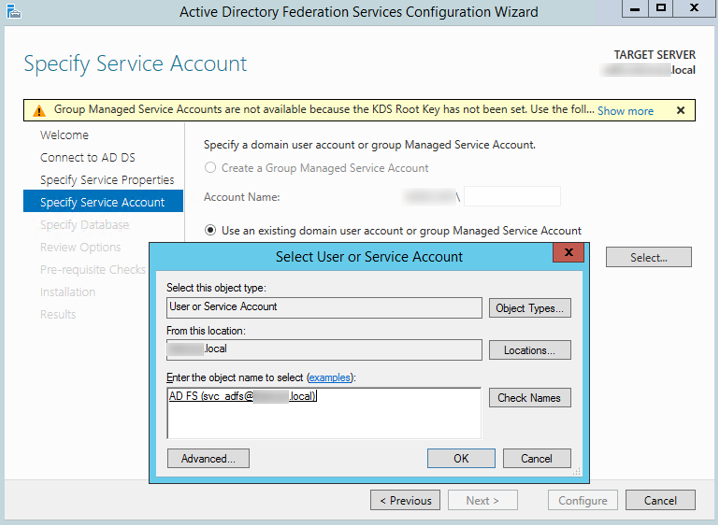 Note: I created a specific service account called svc_adfs to use with ADFS. 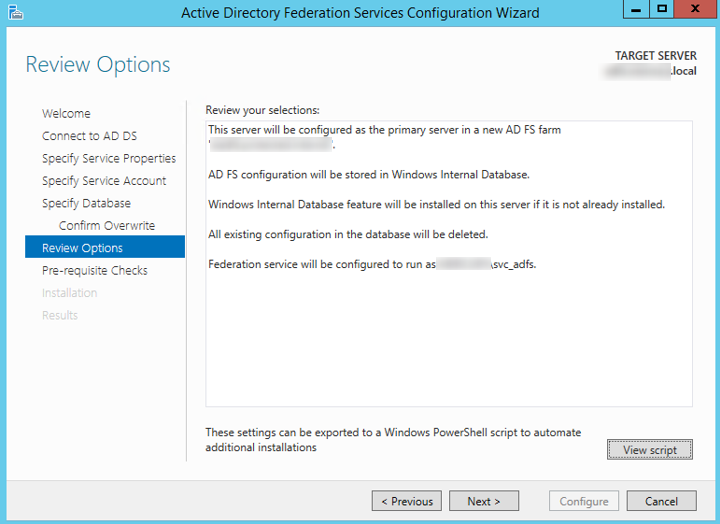 If ADFS was previously configured, below error will occur. 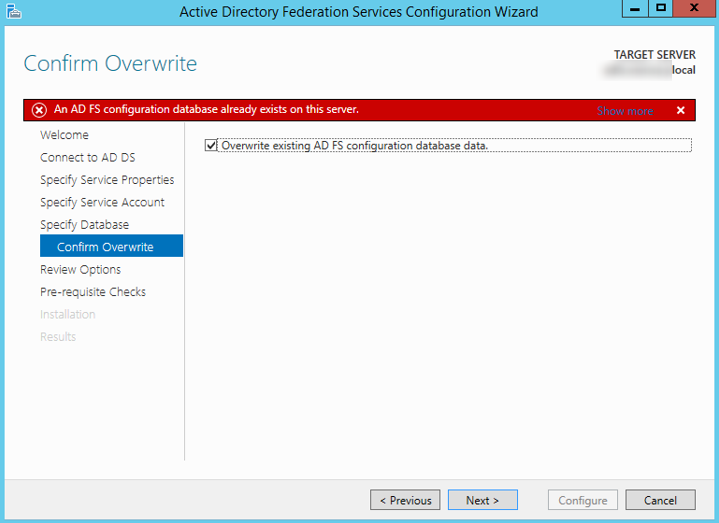 Click Overwrite existing AD FS configuration database data check box. Click Next. 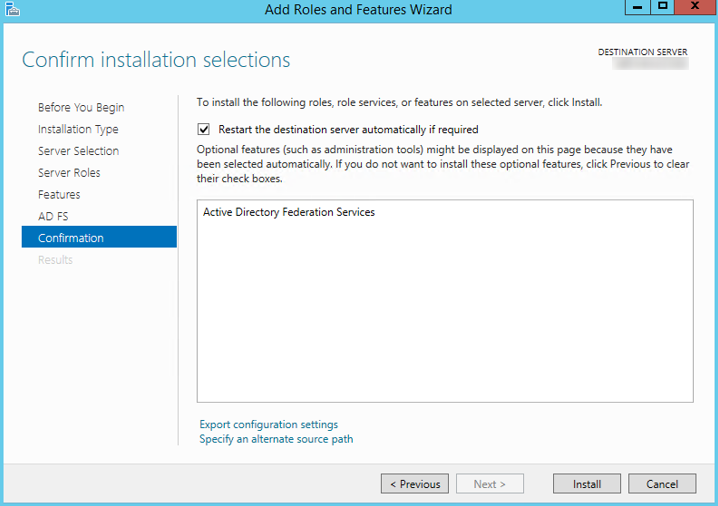 If you would like to view the PowerShell script, click View Script. Click Next. The PowerShell script looks like below. If below error occurs, then there’s an issue with the certificate. 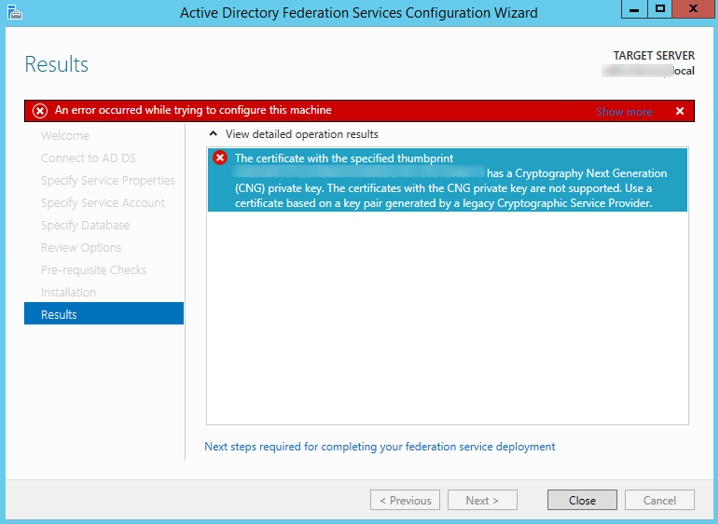 Download Windows SDK and use MakeCert command to create the certificate. Please see below article for more details. If below warning occurs, create the SPN manually. For more information, please refer to below thread. 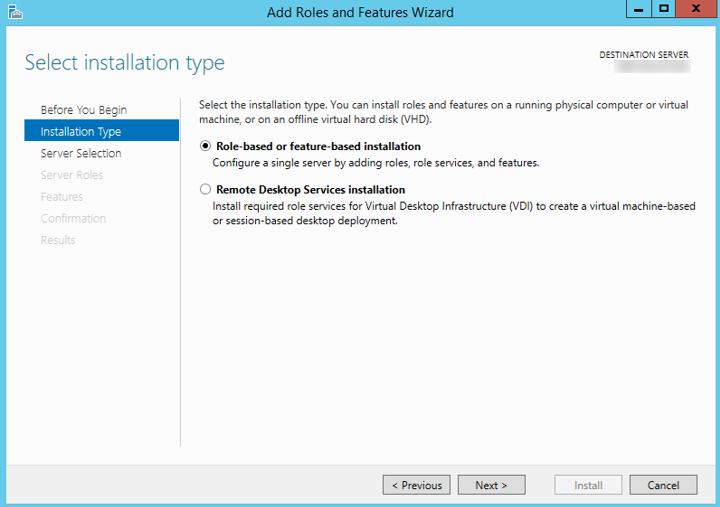 Please check out next article in the series to learn how to configure relying party trust.